Recently I was invited to go hawking. The experience was incredible. I held my gloved hand high while the hawk’s master whistled behind me. 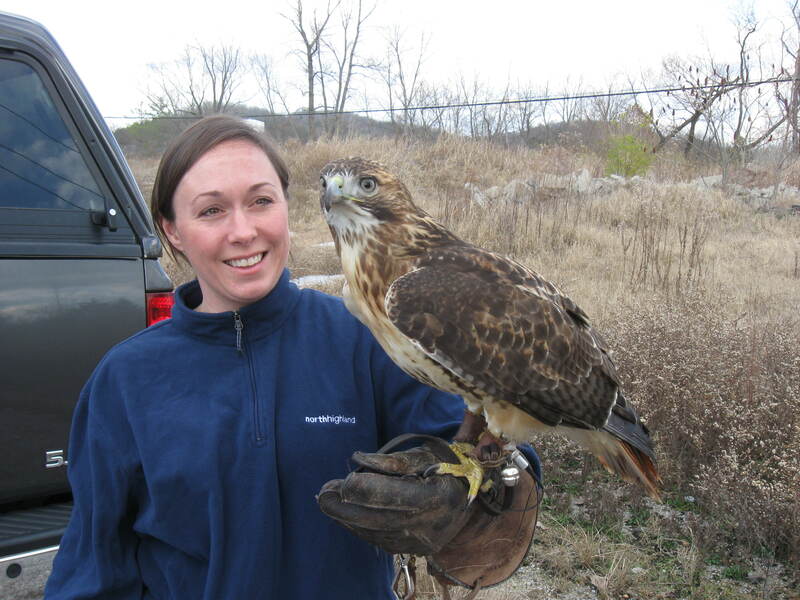 Storm, a large, female red tail hawk, gave one thrust of her sickle shaped wings and glided easily to my arm. She weighed much less than I had expected. About as much as a round of good bread. Walking through the dense undergrowth of the forest, I suddenly spotted a rabbit. “Bunny, bunny, bunny!” I shouted and pointed to direct Storm. She swooped past me, leafy brown and creamy white, talons at the ready. The rabbit escaped to munch and procreate another day, but Storm and I enjoyed ourselves nonetheless. Later under an approaching rainstorm, Storm finally snatched a good meal. Quick as a blink she dashed into a tall cedar and sunk her talons into a fat squirrel. After some difficulty pulling her dinner from the crowded branches and onto the ground, Storm surrounded her kill with her wide, tawny wings (it is called mantling, I believe) and went to work. I do not often have the opportunity to live the day to day activities of my historical fiction characters. Eating bread, yes. Drinking wine, for certain. But the more interesting, stimulating activities such as hawking just don’t fit into my lifestyle normally so I remain thankful for my little adventure. This entry was posted in research and tagged falconry, hawking, research, writing historical fiction. Bookmark the permalink.